If I didn’t know any better, I’d say that global warming was over…but I know better.😉 So what’s up with the weather? 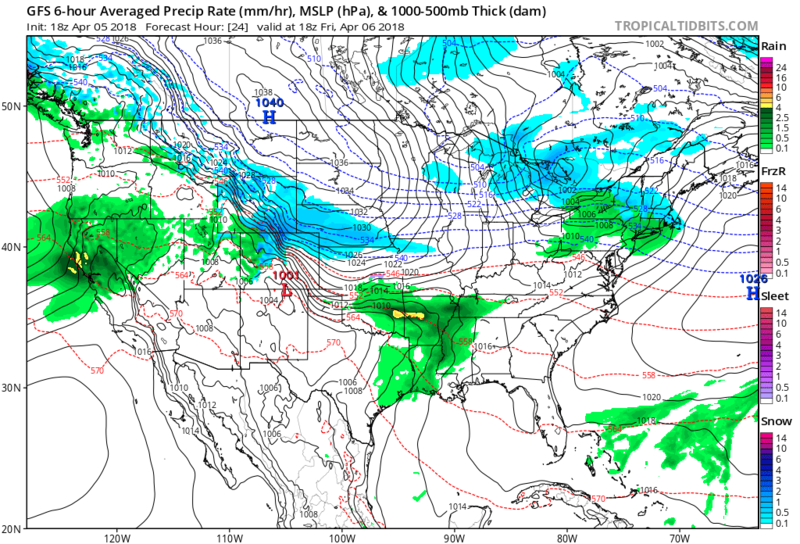 As a meteorologist the first thing that looks odd is how highly amplified the pattern looks for early April. 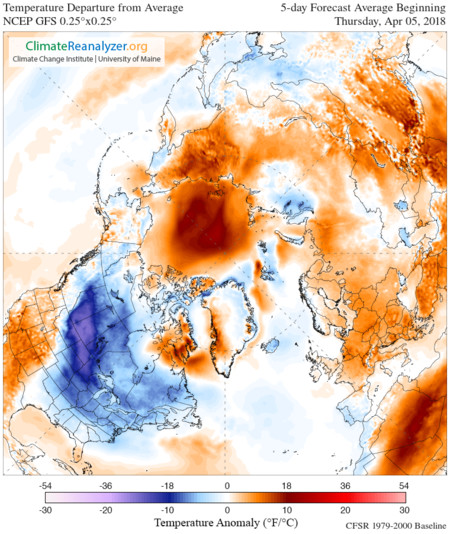 There is a big warm red anomaly near the pole with a parade of three blue cold pockets, which are in association with strong storm systems across the northern and central Pacific. The red pocket is forcing the jet ad those three storms further south.Note one poised to move into the West taping that atmospheric river. The biggest cold pocket has set up south of Greenland and stretches southwest into the northern Plains. 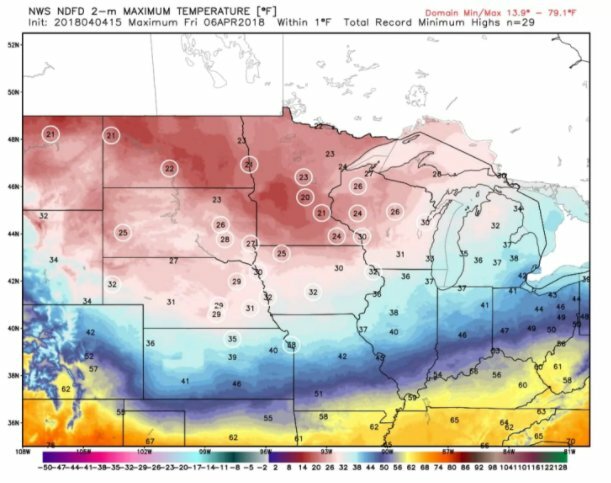 This pocket has and will be responsible for record cold in the Midwest. The whole look of this hemispheric chart is that of a polar vortex punctured with warm holes forcing the jet south. Can you please check in south korea its really unusually colder than the previous springs I have experience, thank you.